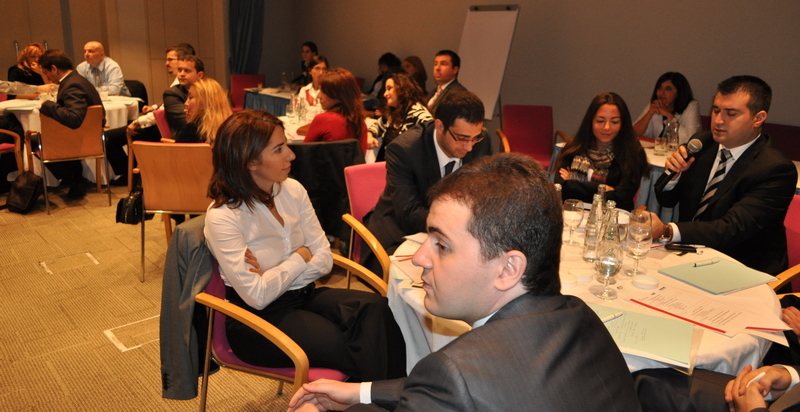 UNEP FI/Ecobanking convenes an Environmental and Social Risk training workshop in Turkey. We organize this workshop in the hope of sensitizing bankers, risk managers and other relevant parties across the Turkish financial sector, on the importance, effective techniques and consequential benefits of incorporating environmental and social considerations into their investment and risk management decision-making. The workshop also stresses the importance of mainstreaming the integration of environmental and social considerations in the local financial sector. A carefully targeted group of risk managers, credit officers and analysts, as well as sustainability and environmental managers, from local banks and relevant institutions attend this workshop. In the course of the day participants are oriented towards practical mechanisms and tools for implementing Environmental and Social Risk Management. Case-study based exercises and activities, as well as peer-to-peer experience sharing from banking practitioners (Unicredit and TSKB) are also part of the agenda. The event is co-organised with The Banks Association of Turkey and kindly sponsored by TSKB.